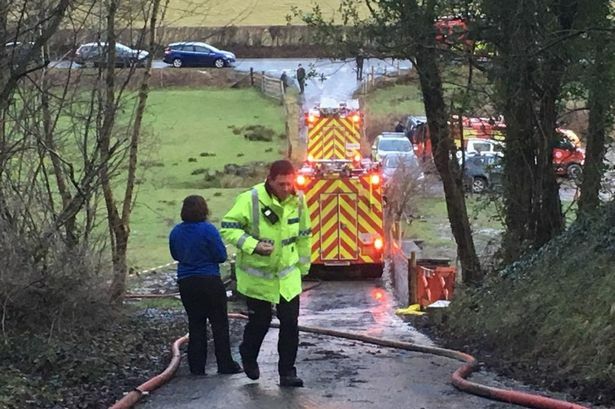 Dozens of firefighters were called to the The Old Vicarage Nursing Home in Pandy Tudur, near Llanwrst, and rescued seven trapped residents. The cause of a huge blaze at a nursing home from which seven trapped residents had to be rescued by firefighters has been discovered. 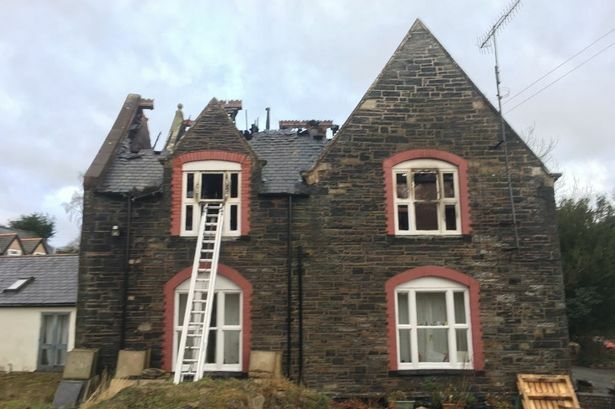 More than 30 firefighters were called to The Old Vicarage Nursing Home in Pandy Tudur , near Llanrwst , after the alarm was raised at midnight today (January 18). Tony Jones, head of response for North Wales Fire and Rescue Service, said: “We were extremely lucky that no one was seriously hurt in this fire. “Our firefighters worked in challenging weather conditions to perform these rescues and tackle this complex fire. Two fire crews from Llanrwst, one from Abergele, one crew from Llandudno, two crews from Colwyn Bay, one crew from Rhyl, the Incident Command Unit from Rhyl and the Aerial Ladder Platform from Rhyl were called to the scene. The Welsh Ambulance Service also sent 10 crews in emergency ambulances, a paramedic in a rapid response vehicle, an ambulance officer, two non-emergency patient transport service vehicles and a community first responder. Shyam Boyrangee, owner of the nursing home, said he is “absolutely devastated” by the blaze. He has praised his staff and the emergency services for their “superb” action to get everyone out safely. Mr Boyrangee said: “We are absolutely devastated. I arrived there around 12.30am and stayed there until 6am. I’d like to thank our staff, the fire service and the paramedics who were all superb. A meeting will take place this afternoon between the owners of the home and Conwy Council’s social services department as to where the remaining 20 residents will now be re-homed.